Source: Traditional; published in English Dance & Song, December 1939, Volume IV, Number 2 and May 1948, Volume XII, No. 2. 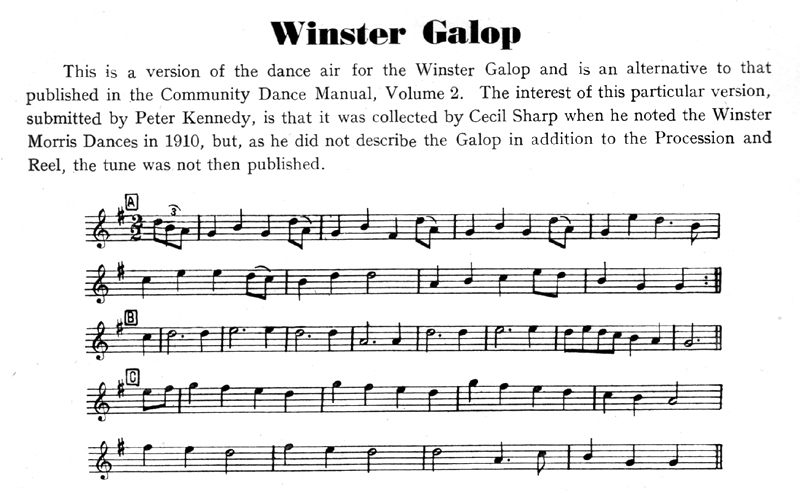 Winster Galop plus an extra B for everyone to swing at the end of the dance. This dance was printed twice. As you can see below it is exactly the same dance, but with a little more detail added in the second printing. 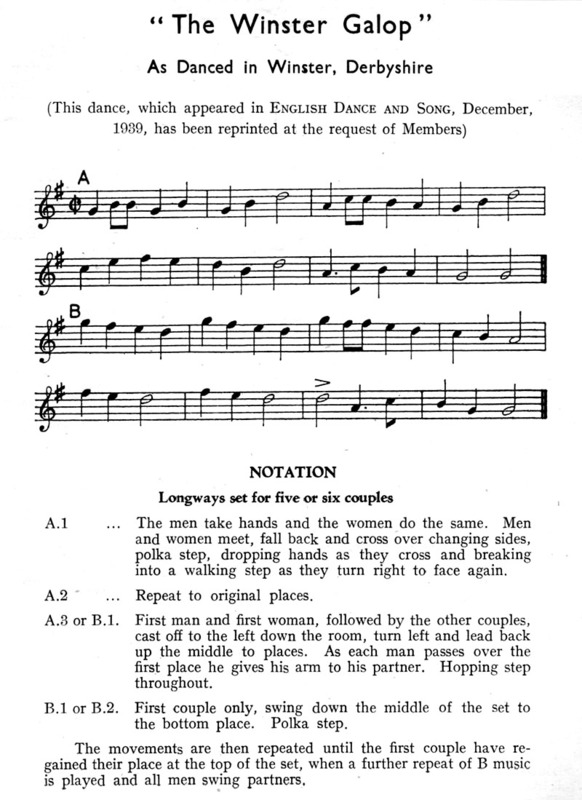 An alternative version of the tune was published in May 1949, Volume XIII, No.3. 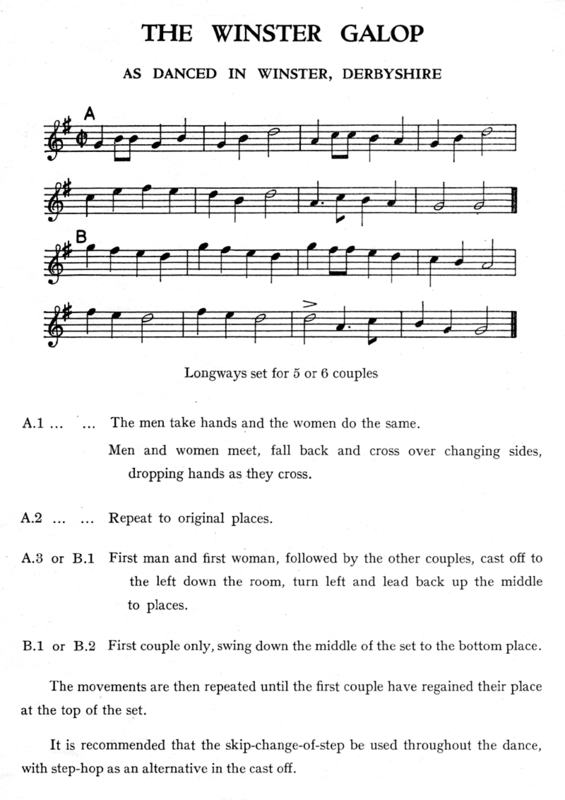 This dance appears in the Community Dance Manual with "as danced by the Morris dancers" and mentions the shoulder-hold for the swing. You can see an example here.